On the morning of Dec. 5, Laura Walker, president and CEO of New York Public Radio, found herself parrying questions from one of her organization’s most famous journalists. NYPR—which oversees public radio powerhouse WNYC along with New Jersey Public Radio and other local audio outlets—had been roiled days earlier by a Dec. 1 New York magazine report detailing allegations of sexual harassment and other abusive behavior by John Hockenberry, the recently retired host of NYPR’s morning show The Takeaway. Walker didn’t comment for that piece, and she claimed only limited knowledge of Hockenberry’s behavior in a memo sent to employees the following day. She also declined to be interviewed for a Dec. 4 investigation by WNYC into what management knew about the accusations and when. So when she joined host Brian Lehrer on Dec. 5 in his eighth-floor studio, which has a window looking out to the WNYC newsroom, a few dozen staffers gathered outside to watch. “It’s a particular kind of theater when your boss is behind glass, 15 feet away, getting questions from the man who is sort of the conscience of the organization,” said one onlooker, who like others spoke to Splinter on the condition of anonymity for fear of losing their jobs. The staffers gathered outside expected Walker to address them in some way after the interview. Instead, she momentarily disappeared from view, according to two people present—likely to an out-of-view room adjacent to Lehrer’s studio. The crowd waited for more than 10 minutes in something of a tense standoff. “It was a lot like Sean Spicer in the bush,” the second source said. When Walker finally emerged, she didn’t address staff as expected. “She waved and smiled and walked past,” Kai Wright, host of the WNYC podcast There Goes the Neighborhood, wrote in a public Facebook post. Walker waited until later that afternoon to speak to the newsroom. The scene—of an executive literally dodging accountability from her own staffers—was a telling glimpse of how a New York institution is coming to grips with its failure to keep its workplace safe for women, and particularly women of color. It’s also a microcosm of the challenges faced by the entire media industry—supposedly a bastion of openness and transparency—when confronted with wrongdoing in its own backyard. Despite convincing evidence of systemic breakdowns at all levels of the organization, NYPR management has provided few clear answers as to how exactly it got to this point. Instead, executives have hidden behind broad displays of contrition and promises to change. At an NYPR board meeting on Thursday, her first public appearance since the Lehrer interview, Walker reiterated “how profoundly pained and sorry I am.” She said NYPR has retained an unnamed “outside investigator” and an outside law firm, Proskauer Rose, to aid in the ongoing inquiries, which should conclude by the end of the year. She also announced a number of new staff trainings, projects examining internal culture, and hiring and retention initiatives—many of which will be directed or guided by her. Yet Walker didn’t announce any additional personnel moves, including one many audience members, NYPR listeners, and even some current or former staffers had been waiting for over the previous two weeks: her own resignation. Kim spent a month reporting her story. In the final weeks before she published, WNYC editors launched a parallel investigation into Hockenberry, assigning the piece to reporter Ilya Marritz. Kim said that her sources—many of whom still work in public media—started getting phone calls from WNYC journalists, including Marritz. Fearing it signaled that the parent organization had caught wind they were talking to outside journalists, some of Kim’s sources got cold feet. WNYC’s eventual story, published days after Kim’s, included an editor’s note saying that “senior WNYC management had no oversight of or influence on this story.” The outlet’s vice president of news, Jim Schachter, declined to comment on any internal editorial decisions. A NYPR spokeswoman did not respond to Splinter’s written query of when, why, and from whom the story was assigned. Nevertheless, Marritz’s reporting showcased a similarly damning pattern of allegations toward Hockenberry and corresponding apathy from management. And it won WNYC plaudits for taking its parent organization to task. But Schacter—who sits just steps away from Marritz—Walker, and Chief Content Officer Dean Cappello declined Marritz’s requests to discuss the specifics of their former star host’s departure, a clear sign of their willingness to evade journalists even on their own turf. Screengrab from the WNYC’s Facebook page header image. The tight-lipped PR strategy continued throughout the week. The Takeaway itself tweeted on Dec. 5 that Walker had declined two requests to appear on the program. In her eventual interview with Lehrer that morning, she attributed her string of no-comments to an internal policy of not disclosing “confidential employment information,” which she said the organization is reviewing. Management’s explanation of the ongoing inquiries around Lopate and Schwartz has likewise been vague to all parties—supposedly out of respect to the accused. “All [Lopate] knows is he was called into Dean Cappello’s office…and was told he was suspended,” WNYC reporter Jessica Gould said on air. “He asked what he was suspended for, and they responded they didn’t have to tell him.” Management was “not saying” why they were suspending the two men now, Marritz added in the same segment. ﻿Most of the board members aren’t talking. I was told that guidance circulated by board chair [Mayo S. Stuntz, Jr.] this weekend asked members to respectfully decline requests from reporters. If the topic comes up in conversation with someone, they should try to move the conversation to someone else currently else in the news. Examples that were given were, “Do you think Roy Moore should win the Senate seat in Alabama?” “Should Sen. Al Franken resign?” The note advised that in these conversations it’s also better not to bring up people in the media, like Charlie Rose. Emotions pent up inside the WNYC newsroom have understandably flooded out amid such dodges, and staffers even clapped in the office following one of Marritz and Gould’s reports. Women currently or formerly on staff at NYPR have meanwhile publicly criticized the organization’s leadership and culture, including in surreal interviews aired on its own programs. On The Takeaway itself, former co-host Farai Chadeya and former producer Kristen Meinzer separately questioned management’s claim that it had only limited knowledge of Hockenberry’s sordid behavior. “I want those people in senior management who are still in the building to step down or to be fired,” Meinzer said without naming names. New York Public Radio management is now scrambling to meet with staffers in small groups, publicize reporting hotlines, hold unconscious bias trainings, investigate top talent, invest more in its HR department, and bring in outside help to examine its internal culture, all while attempting to earn back the trust of its employees. Those who allowed the problem to fester are now pleading for the chance to solve it. The vagueness of management’s promise for institutional change came through in an off-the-record all-staff meeting held on Tuesday, according to an employee present. The WNYC newsroom still seeks a fuller account from Walker and Cappello, who worked closely with Hockenberry for years on The Takeaway. But ultimate power to hold higher-ups accountable flows from two primary sources: the NYPR board and the organization’s audience. The latter had the chance to air its grievances at Thursday’s board meeting, but only after a nearly two-hour executive session following Walker’s initial remarks. By the time the public could question why NYPR’s response hadn’t been more forceful, about half of the organization’s board—and Walker—had already left. Listeners like Tarantal will have the chance to vote on the organization’s leadership with their checkbooks when WNYC and WQRX, a classical radio station, have a one-day pledge drive on Dec. 28. It’s the same leadership, of course, that pleads with listeners to take action whenever its public financing is threatened—even as it rakes in huge sums. Walker’s total compensation in 2015 was $888,000, including bonus pay and benefits, according to the most recent tax filing available. Cappello earned a combined $406,000. It’s a lot of money for managers oblivious to or inactive toward a cultural rot deep within their workplace. Screengrab from New York Public Radio’s 2015 tax filing. 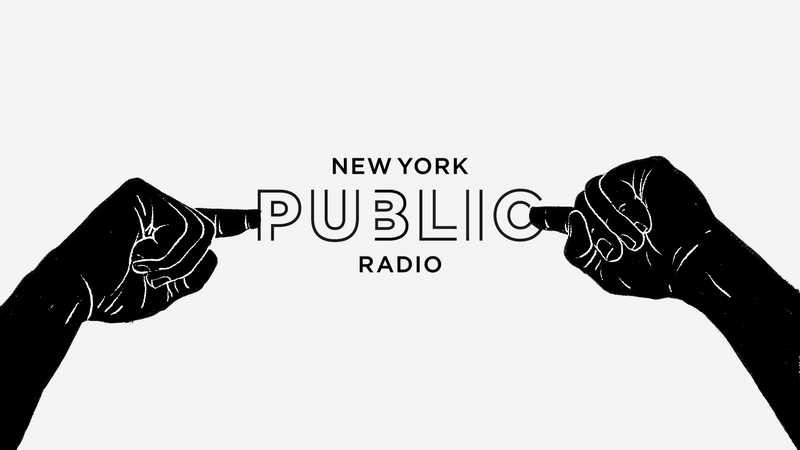 Donors big and small buy into the ethos of New York Public Radio. An awkwardly phrased ad campaign in New York subways even brands WNYC as “New York’s safe word,” a claim that residents can trust it. That value proposition is built upon actual values, which are shaped in large part by the younger, more diverse, and socially progressive voices on which the organization is increasingly staking its future. If management’s nebulous response to its toxic workplace culture is any indication, however, what those values are still appears open to interpretation.